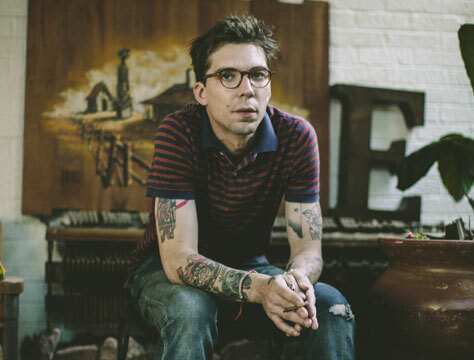 We’re delighted to be promoting two shows for Justin Townes Earle! Once compared to a man who wears many suits, in 32 short years Justin Townes Earle has experienced more than most, both personally and professionally. Between releasing four full-length, critically acclaimed albums, constant touring, multiple stints in rehab, a new-found sobriety, being born Steve Earle’s son, amicable and not-so-amicable break-ups with record labels, and facing the trials and tribulations of everyday life, it’s safe to say JTE has quite the story to tell. He returns to the UK armed with a host of songs from not one but two new records. Released last month, Single Mothers saw Earle team up with Vagrant Records for the first time. The album is comprised of 10 tracks that showcase exactly why Justin Townes Earle is considered a forefather of contemporary Americana. As a recently married, sober man, JTE writes from a point of maturity and content we’ve not seen before on past records. ‘One day I just realised it’s not cool to die young, and it’s even less cool to die after 30,’ Justin states as he reflects on a life past and his newly found clarity. What he’s created is an album that’s raw, honest and personal in a way he hasn’t touched upon since his debut EP, Yuma. Co-produced along side longtime engineer Adam Bednarik, Single Mothers shines in a world of pop-culture driven Americana records. With his heart and soul still rooted in Nashville, Single Mothers shows Justin’s continued combination of catchy songs and authenticity. The album was recorded live with his four-piece touring band with only days of rehearsal leading up to recording to keep the ideas fresh. No overdubs, no other singers, no additional players – just a real, heartfelt performance capturing the moment. In fact, his songs Picture in a Drawer and It’s Cold in This House are only Justin, his guitar and his pedal steel player Paul Niehaus. ‘As I’ve gotten older my anger comes from a very different place,’ JTE reflects. ‘It’s more rational and mature. I guess that comes along with clarity.’ Single Mothers finds Justin dealing with past struggles and anger with more ease than ever before. Creating a nostalgic feeling with the return to his signature sound, JTE takes listeners on a journey through some of his most personal stories yet on what can only be described as an authentic country record. Companion piece Absent Fathers, will be released in January 2015. Comprised of 10 tracks, it was recorded alongside Single Mothers as a double album, but as Justin began to sequence it, he felt each half needed to make its own statement and they took on their own identities. Tour support comes from Andrew Combs. Andrew Combs is a songwriter, guitarist and singer who lives in Nashville. His music is equal parts rough-and-tumble 1960s Chicago blues, Planet Waves-era Dylan and vintage Nashville folk. His band’s live show was once described as a cross between Merle Haggard’s stripped-down country rock and the tightly wound garage punk of Detroit’s MC5. His new album, All These Dreams, is out via Loose Music on 26 January. These shows are co-promotions with Please Please You. MANCHESTER: Book tickets now. Tickets are also available from Band on the Wall’s box office, Common (both no booking fee), Piccadilly Records, Vinyl Exchange, Seetickets.com, Bandonthewall.org, wegottickets.com Ticketline.co.uk and on 0871 220 0260. LEEDS: Tickets are available from Jumbo and Crash, Seetickets.com and on 0871 220 0260.